It would be nice if Canada geese weren’t so darn smart. However, talk to any hunter that has spent a lot of time in the field and they will have story after story about birds that have learned to avoid the trouble associated with decoy spreads. This decoy shy phenomena is not something that comes naturally, it is a learned behavior that develops after birds have been shot at a number of times. I believe the more birds are hunted, the more they are able to imprint the dangers associated with decoy spreads into their brains. Snow geese do it, why not Canada geese? 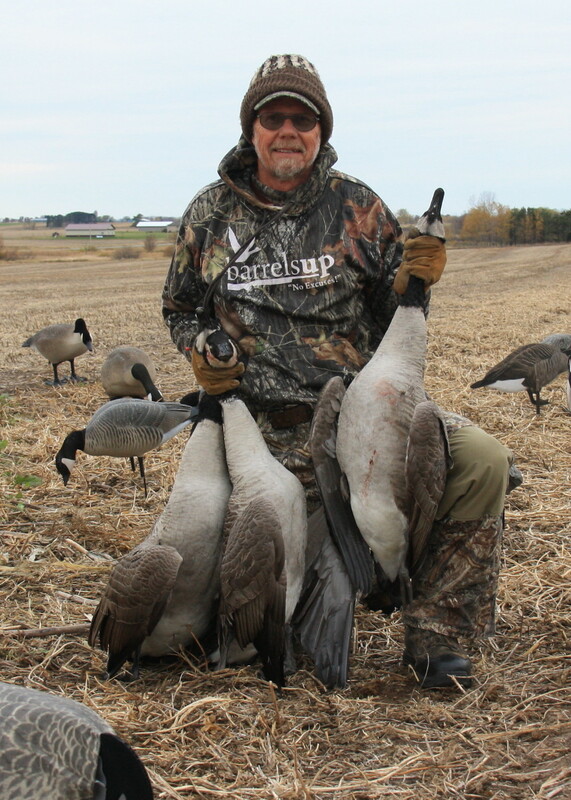 Whether it is early season or late season, pressured geese are difficult to hunt. There are a couple of specific patterns I look for that indicate geese are highly pressured and vary wary. When birds start reacting a certain way, I know it is time to mix things up and do something different. Decoy wary birds often will approach from the front but slide off to the side at a couple of hundred yards. The next move they make is classic and predictable. Once off to the side of the spread, they will approach from behind and then make a high pass directly overhead. Generally, this is the kiss of death as these birds rarely come back once they have looked at your spread from directly above. One thing I like to do when this starts to happen is to turn one of the hunters around to face the back of the spread. This hunter is able to watch exactly what the geese are doing behind the decoys without squirming around in the blind and spooking the birds. They can also call the shot if they approach within range, which does happen. When hunters are all facing the pocket, it is difficult to really know what is going on behind you. Another sure sign of pressured geese can be heard more than it can be seen. Pressured geese definitely change their calling and vocalization patterns. Hunters need to vary their tactics when working pressured geese. As a general rule, spooky geese get silent when they approach a spread. Obviously, they are listening to see what kinds of calling sounds are coming from the ground. As a general rule, these geese have lots of experience with decoys. 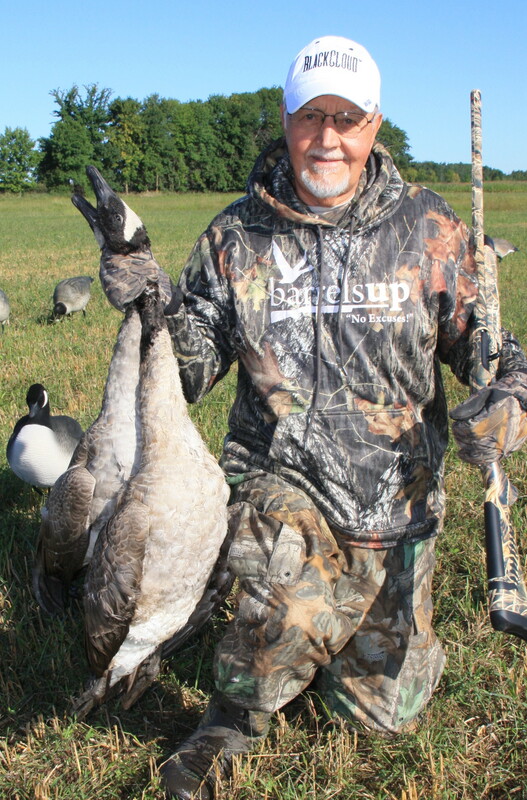 Recently, I had a serious discussion on the art of calling pressured geese with hunting specialist, Chad Allen from the internet shopping site of Barrels Up and Dirty Girl Camo. Allen and I were on the same page when it came to working wary birds. Allen believed that the more a person knew about calling, the more successful they would be in the field. He felt quiet geese should be hunted quietly with a minimal amount of calling. If they talk to you, talk back. If they aren’t talking, be silent until they are close enough for some confidence building moans and soft clucks. I certainly agree with this. Too many times I hear hunters overcall geese. It is important to remember that the purpose of calling is to help get the birds in range. It is not to try and wear the reed out of your call. All too often hunters shout at geese instead of talking to them. Hunting pressured birds is always a challenge. No matter what you do in the field, you will not fool every flock. However, if you are not fooling any birds, you may need to change up your routine. Simple adjustments, such as facing a hunter the opposite way or cutting way back on the calling, are two simple tactics that can help.